RFID Laundry Tags or RFID Washable Tags are specially designed to meet the tracking requirements of the laundry industry and uniform management in hotel or hospital etc. It is easily affixed onto textile products using a standard sewing process, it can be sewed along the edge of the item or embedded into the Item, and can bear washing, dry clean, high temperature sterilization. 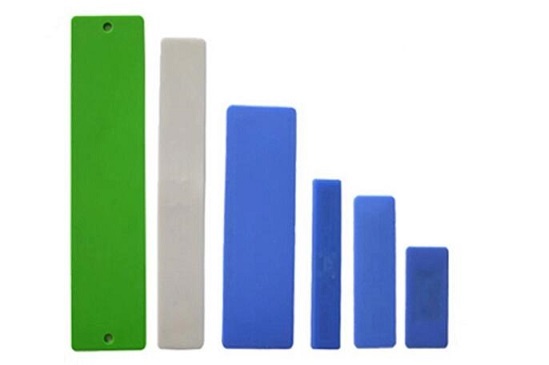 RFID silicone laundry tag, a highly durable UHF tag designed to be used in industrial laundry applications to withstand repeated washing and drying cycles in professional cleaning equipment. Being a small, flexible white strip, the tag can be easily embedded in clothing or linen and remain hidden to the user at everyday operations.The silicone laundry tag bring great convenience to our daily life.